Hailing from the storied city of New Orleans come DiNOLA. This female fronted quartet reimagine heavy British Blues in a manner that captures the rhythm and gothic voodoo of their hometown while simultaneously staying true to their punk roots with terse arrangements evocative of U.X.A. and the early recordings of Siouxsie & The Banshees. Produced by Dave Catching (Q.O.T.S.A., Eagles of Death Metal) and recorded and mixed by Hayden Scott (Arctic Monkeys, AWOLNATION) this diamond tough set features the active rock sleeper hit ‘Up High’, a cover version of Screamin’ Jay Hawkins ‘I Put A Spell on You’ and four more thumping originals. Recorded at Catching's Rancho Del La Luna studio in Joshua Tree, California the band's wide-release debut also features some guest guitar work by Catching. Clocking in at 22 minutes the 12" 45 rpm disc holds the distinction of being the very first album manufactured at New Orleans Record Press, a newly opened vinyl plant in the Crescent City. 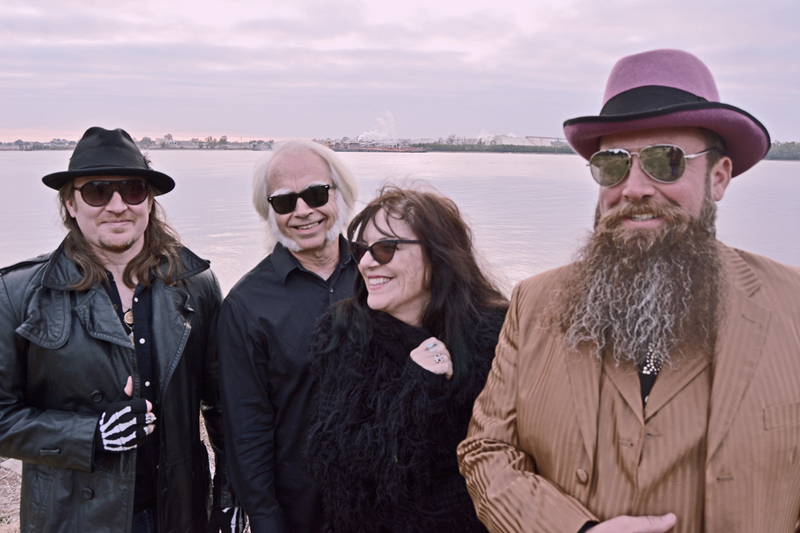 The band developed organically out of the relationship forged among the members as they gradually aggregated into lead vocalist Sue Ford's Mardi Gras parade band Pink Slip. The trailblazing act was not only the first rock band to perform on a float during the hundreds of years old festival, but also the first all-female act. Now in their eighteenth year of performing annually in the parades, Pink Slip has a repertoire of hundreds of songs, in addition to their very own float and often feature special guests including Catching, Tony Maimone of Pere Ubu, the legendary Susan Cowsill and Sean Ysault of White Zombie. Sue, a Boston transplant who works by day as a scenic artist in the movie business would over time pull Eric Laws (guitar) and Eddie Payne (bass) into the Pink Slip fold. Eventually she would allow her husband Jimmy to become the band's drummer, a promotion from his previous duties as sound tech and roadie for Pink Slip. Shortly after the turn of this decade the four of them would assume the name DiNOLA and the new act was born as a vehicle for their heavier original tunes. Sue is quoted in a 2012 piece in OffBeat Magazine by Michael Patrick Welch thusly: "When picking my krewe, it's like going on a canoe trip. First, you're thinking about all the great friends you want to bring. Then it starts raining and the canoe gets stuck, and you think, 'OK, who would not deal with this well?' and you start crossing people off that list." 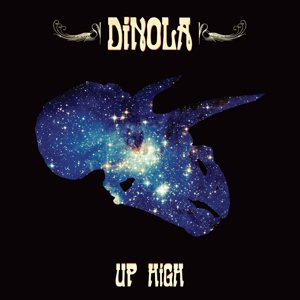 DiNOLA is more than just a rock band - they are an extended family of post-Katrina survivors and thrivers and the philosophy expressed by Sue above would seem to extend to all areas of their lives. One need spend only a little time around this colorful bunch to see the love they share and how they enjoy each other as people. Jimmy, one-time manager to Richard Hell and the dB's, among others, is a New Orleans fixture with his thick city accent being the perfect embellishment to his many tall but true tales, including one about owning New Orleans bars where "my hook was ladies drink free after 3am...". Laws, the son of a working musician, is sprightly, rambunctious and energetically bounces about the stage laying down succint guitar parts as a counterpoint to the linebacker physiqued Payne, who alternates between deadpanning and sly grins as he forges a boneshaking rumble in draught horse manner against the rudimentary yet hypnotic beats Jimmy bangs out on a three piece jazz kit beneath the domain of his awe inspiring snow white mutton chop sideburns and legendary eyebrows. Meanwhile, the throaty Sue plays an absinth-soaked chanteuse - bitter, alluring, desperate and hopeful all at once. They rehearse and headquarter out the Ford's modest house in the Uptown neighborhood that fell prey to one of the greatest natural disasters in the history of the country, Hurricane Katrina. The two-story home near the hospital where Jimmy was born flooded inside to a level of four feet. While the chaos visited upon their home and lives was not unique, it was compounded by the fact that the couple needed to take care of their two mobility impaired children Jonah and Jesse, in addition to another very young son Frankie, only 5 at the time. But, as luck would have it, they had been urged to double-down on their dwelling insurance only six months earlier, and after the mess dissipated it became an opportunity. They would use the insurance money begin to totally retrofit the house with ramps all around and an elevator, making it perhaps the most mobility-friendly house of its style and vintage in the city. This charity begins at home attitude would be used as a rallying cry and extended to the small businesses and public transportation system of New Orleans as the couple's son, comedian and activist Jonah Bascle, would run for mayor in 2012 on a platform founded on accessibility issues. Jonah succumbed to complications from Muscular Dystrophy in 2014 but received a posthumous victory in 2017 as the Regional Transportation Authority eventually ruled that the iconic St. Charles streetcar line must provide six wheelchair accessible stops as a direct result of the work begun by Jonah. The Ford family continues the work by providing free or low-cost portable ramps to businesses needing to add access. The first tune Jimmy Ford and Dave Catching wrote together was 'I Wanna' Die in New Orleans'. It was co-opted by Pink Slip and then DiNOLA made it their own. It's a fitting anthem occasionally requested by city cops at Pink Slip's parade appearances ... as their name suggests (literally "Of New Orleans') the band and their music embody all the qualities of their hometown - a seamy dark and gothic side balanced by a good-timing gregariousness and generosity of deed and spirit that never loses faith that there is always something better ahead. 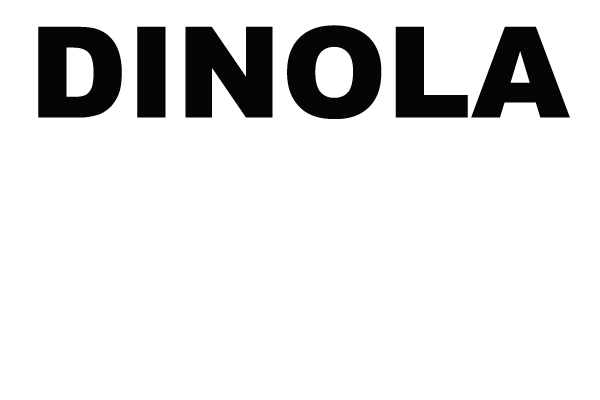 DiNOLA represent an indomitable force of regeneration and reinvention amidst loss and chaos.